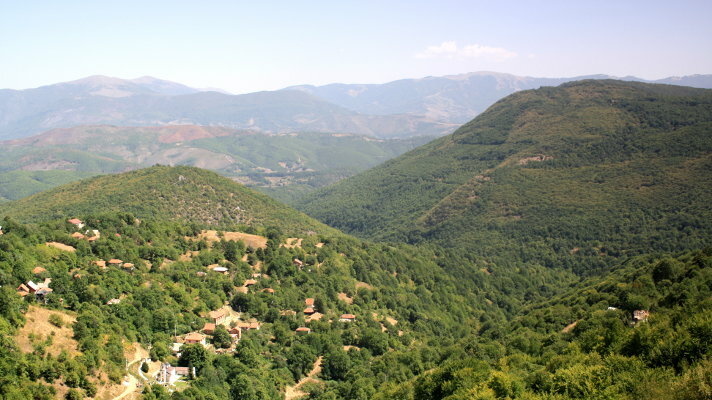 Macedonia manages to combine great views with a fantastic, little capital all at good prices. 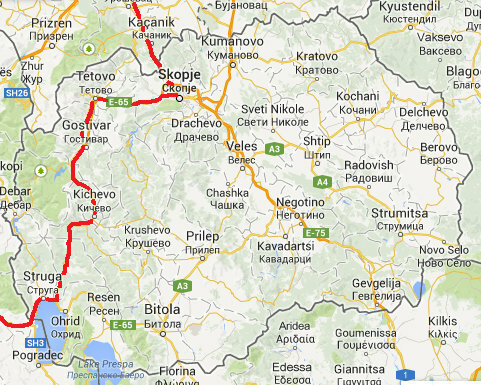 Macedonia has a lot of hills. It also has access to the extremely beautiful Lake Ohrid, one of the deepest in Europe. Road are generally OK with only the occasional pothole and sometimes rough surfaces. Riding into Skopje from Kosovo the wide, quiet road had frequent No Cycling signs but, according to my map, there was no alternative cyclable route. With no other option I cycled it. I didn't see any police and so I've no idea what would have happened if they'd seen me. Curiously, despite this normal road having No Cycling signs, the motorway that offers the only flat route from Skopje to Kicevo had no such signs and the toll booths let me through free of charge. It had a nice wide shoulder and few exits. Later the shoulder disappears at which point you need to get off. 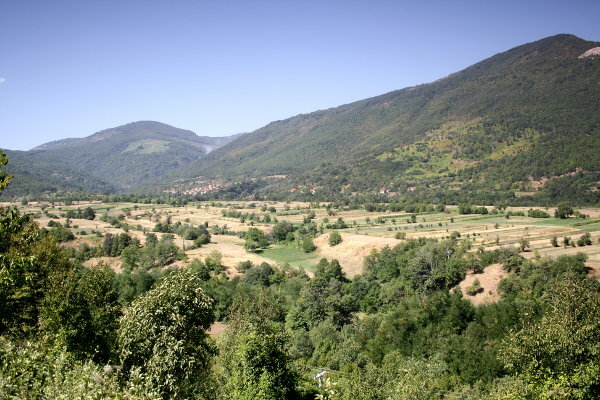 My Skopje hotel cost €35, a hideous place in Kicevo was only €13 and my only campsite - one of the most beautifully sited camps in Europe - was €5. In Skopje old town a lunch of delicious cevapi (grilled meat fingers), a tomato and cucumber salad with grated feta-like cheese on top, a dish of grilled pepper and onions, bread and 4 half litre bottles of beer came to about €8. German seemed more useful than English. None of staff of the hotel in Kicevo spoke anything other than Macedonian.